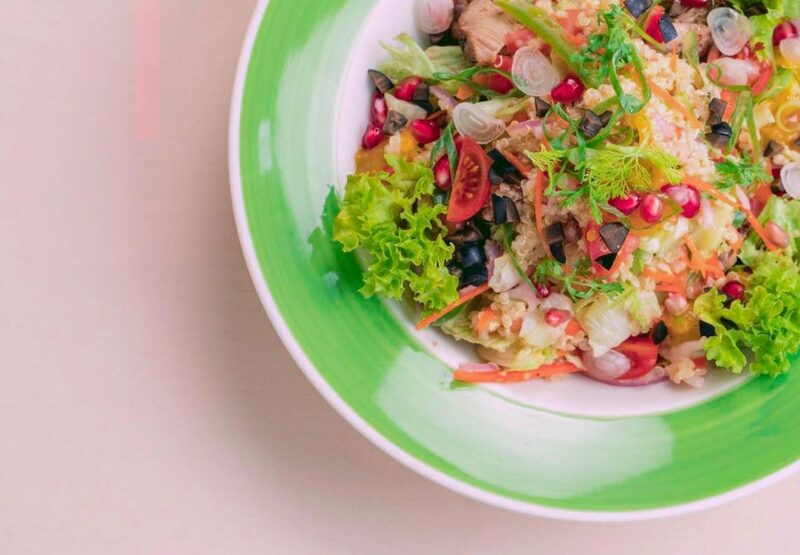 The first thing that comes to mind when you hear Scoop are ice-creams and faloodha, but did you know they have introduced a set of healthy salads? The “Quinoa Salad” with grilled chicken, pomegranate and mango salsa is without a doubt something to be loved. The cooked quinoa seeds are fluffy and creamy, nevertheless maintains a subtle crunch which makes it almost nutty. Even if one is not a health-conscious person and craves for “less healthy” food, this would be great. Nothing could go wrong with an extraordinary mixture of these ingredients. If you think the sweetness of the pomegranate seeds and mango salsa would be overwhelming, you are quite frankly, wrong. There is a very distinctive spiciness to it, and chicken is delightful which makes it a unique and authentic salad. Blood Orange provides a rather eye-catching menu, solely due to the very interestingly named meals. 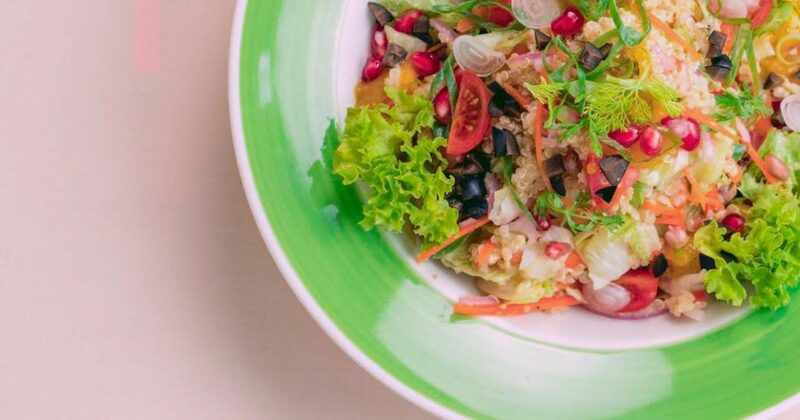 “Diana Salad” is one such meal, which is essentially a quinoa salad with grilled chicken, pomegranate, mixed lettuce and roasted vegetables (onion, beetroot, butternut, sweet potato and carrot). The salad is colorful, well-presented and packed with ingredients which provides almost all the necessary nutrients. The tangy sweet pomegranate seeds and sweet potatoes give it the perfect amount of sweetness to mask that strong onion taste. The grilled chicken is cooked to perfection and goes well with the roasted vegetables. 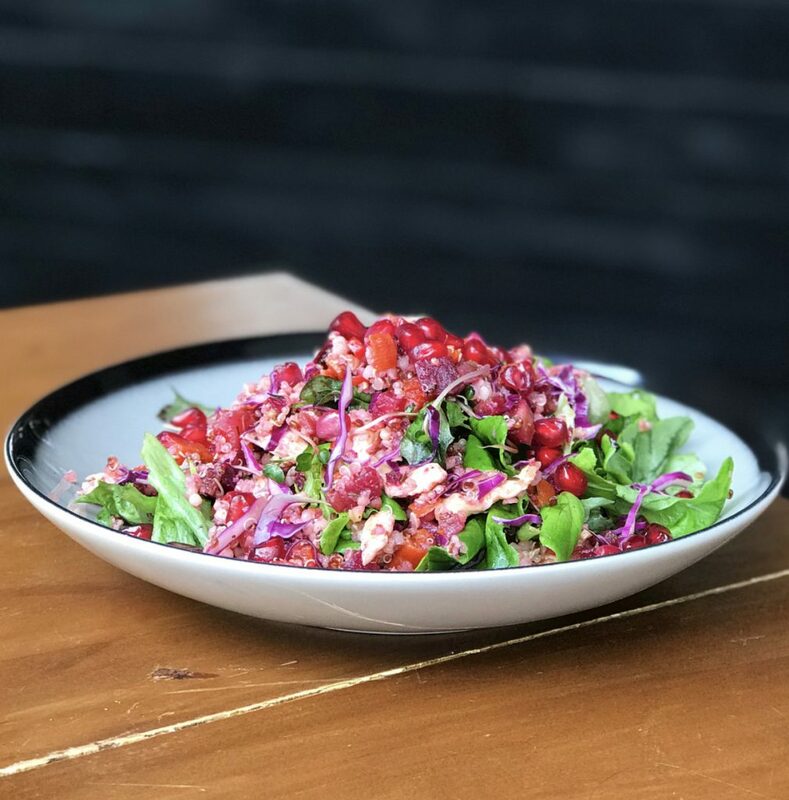 Everything put together, it gives just the right texture to a sinfully delicious salad that will certainly leave you wanting more. Honestly, if all quinoa salads were like this, eating healthy would never be an issue. Shellbeans has been surprising us with creative dishes ever since they rolled out their current menu. 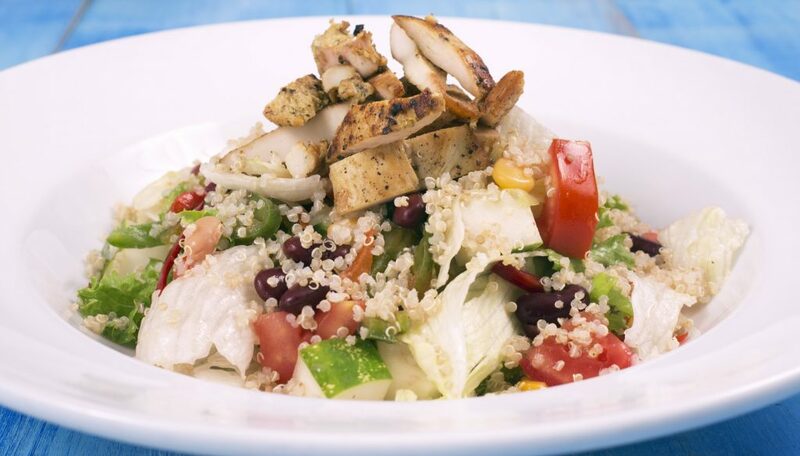 For a quinoa lover, their chicken quinoa salad will be an instant favorite. If you are seeking a quick, hearty lunch which is also very filling but light, this is it. It contains grilled chicken cooked just right, crispy iceberg lettuce, cucumber, tomatoes, red onion and mixed bell peppers tossed in a lemon dressing. Even though the salad is simple and fresh, it comes together so easily and the dressing absolutely brings out the flavors of the vegetables. While this lacks the sweetness the other two salads offer, it does not disappoint. They also offer take-away and delivery services so if you are stuck at work and hungry, Shellbeans is just a call away.